M.Ostrowski sp. j. nationwide market leader in electroacoustic systems, sound interior design, sales and service of musical instruments - M. Ostrowski sp. j.M. Ostrowski sp. 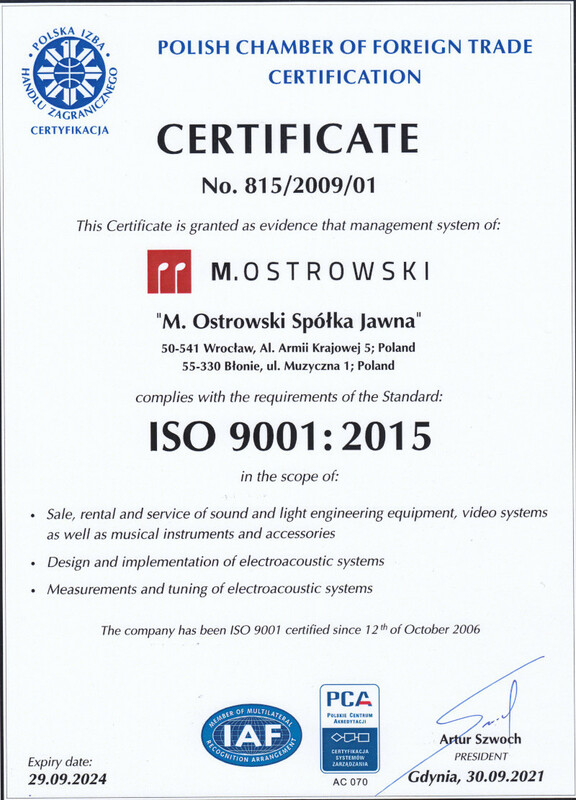 j.
M.Ostrowski – nationwide market leader in electroacoustic systems, sound interior design, sales and service of musical instruments. Copyright ©2009 - 2019 mostrowski.com. All rights reserved.